"You may choose which sourdough starter to use." Sift flour, salt, and soda together into a large bowl. Mix starter with oil, and stir into the sifted ingredients. Drop dough by tablespoons onto an ungreased baking sheet. Bake at 350 degrees F (175 degrees C) for 10 to 15 minutes. Serve warm. I used a sweet starter and they turned out more like scones. 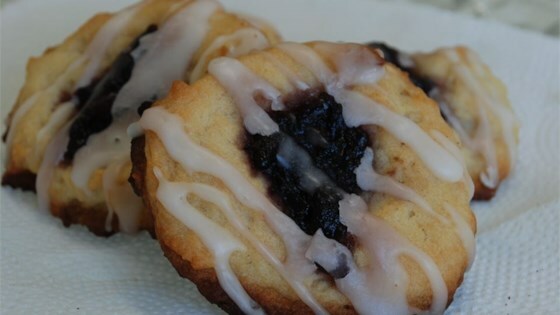 I would never make this recipe as biscuts but I will use it to make scones again and again. I had high hopes for this recipe, but I don't think these can accurately be called "biscuits" - they really are almost like a sourdough cookie. They didn't rise and were dense. Easy to make. The kids love it. I add about 1tbs of sugar to sweeten it. I start out with a basic starter. I am lucky if I get one. Wow! These were interesting! They tasted delicious and smelled just as great. Just don't plan on getting eighteen out of this recipe. Good starting point. I went a little wild adding flavoring to the mix. Two teaspoons of peppermint oil or vanillia made for great treats!